Papillon is the French word for butterfly, and the breed gets this name from the long hair on the ears that resemble butterfly wings. Some Papillons have drooped ears, and they are called Phalène, which means moth. 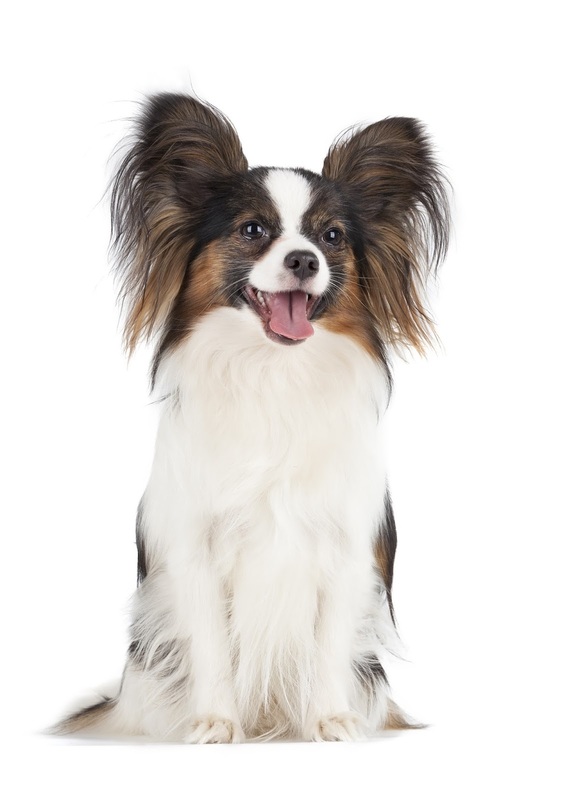 The Papillon is a type of Spaniel, and this breed is one of the oldest toy spaniels, stemming back to around the year 1500. These dogs are energetic, clever, and self-assured, and they learn new things easily. This is an active dog breed and they’re happiest when they have something to do. Many do very well in agility or other dog sports. There are individuals who like to nap with their owner, of course, but the typical Papillon would much rather be running around with a toy than sitting still. Papillons tend to be reserved around new people, and just as with all dog breeds, it’s a good idea to socialize them well from a young age. Grooming is fairly easy, because Papillons don’t have an undercoat. They should be brushed regularly and have a bath every now and then, but other than that they require little grooming. His dog is small and very timid, but the continual effort the owner is putting in, will encourage the dog to become more social and less afraid. By observation and the occasional interaction, as it overcomes its fears (from its previous owners lack of socialisation) will bring this dog around to enjoying life a lot more.